After annealed at 1000 °C, a special basket-weave structure is obtained in laser additive manufactured Ti–6Al–2V–1.5Mo–0.5Zr–0.3Si alloy. The unit of the special basket-weave structure is α lamellas clusters, which consist of lamellar primary α (αp), crab-like structures at the edges of αp and lamellar secondary α (αs) on both sides of αp. As the units of basket-weave structures, the width of the clusters is much larger than that of α lamellas in as-deposited alloy. The formation temperature and process of the special basket-weave structure are studied, and the room temperature properties are tested and compared with the as-deposited alloy. The results show that the formation of the special basket-weave structure finishes within about 30 s and crab-like structures form earlier than lamellar αs. The yield strength of the alloy is decreased by about 75 MPa compared to that of the as-deposited alloy. 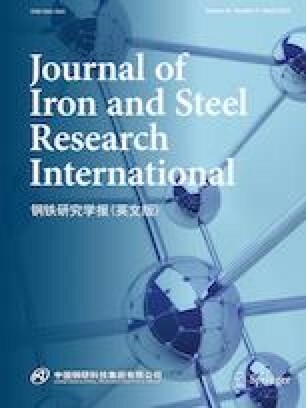 Besides, the proof-ultimate strength difference of the alloy is two times higher than that of the as-deposited alloy with about 34% improvement for the impact toughness. It is because α colony size shows a positive correlation to the width of the unit forming basket-weave structure. The enhancement in proof-ultimate strength difference could significantly improve the toughness of the alloy, and thus effectively increase the safety of the alloy. This work was supported by the Beijing Natural Science Foundation (grant No. Z140002) and Beijing Science and Technology Plan of China (grant No. Z17100000817002).